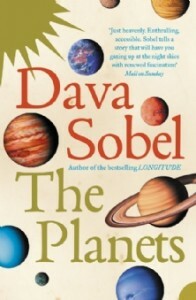 A former New York Times science reporter, Dava Sobel has become well known for her popular expositions on a range of scientific topics. She has a rare gift for taking complex issues and making them accessible to those without a physics or astronomy-friendly bone in their body. The Planets reflects her ability to make arcane facts come alive in a fascinating way. She takes readers on a solar system-spanning tour of the planets but far from being just a recitation of facts and figures, she also weaves in the myth, history, astrology and even science fiction associated with Earth’s celestial companions. What emerges is as full a picture of each of these heavenly bodies as you could hope to get. You learn why Venus is swathed in acidic clouds, and why it stays brilliantly visible for anyone on Earth no matter how far away its moves from us in it orbit. Or why Jupiter is not simply a boisterous ball of liquid nitrogen but the reputed source of fecundity and generosity for anyone born under its sign. It is that rare book of non-fiction that compels you to keep reading, as one interesting fact after another is presented to you in a thoroughly engaging way by someone obviously in love with their subject matter. Richly detailed, accessible without being condescending, The Planets is a perfect balance between scientific fact and storytelling. Dava Sobel reminds her readers that knowledge never exists in a vacuum as isolated facts but always finds its true relevance when it is placed in the context of human experience.